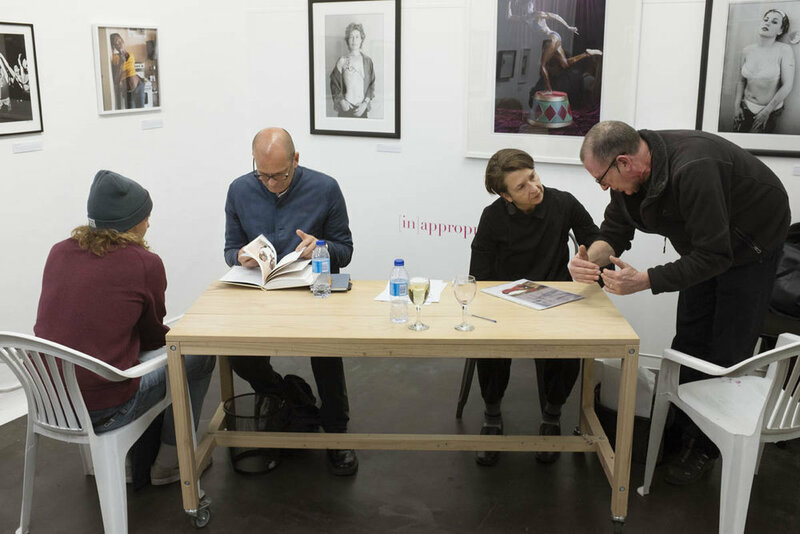 On 6 September 2017, PH Centre hosted, PHOTOBOOKS, an Open Book Festival talk and lively discussion with award winning publishers, Michael Mack of Mack Books, and Bronwyn Law-Viljoen of Fourthwall Books. 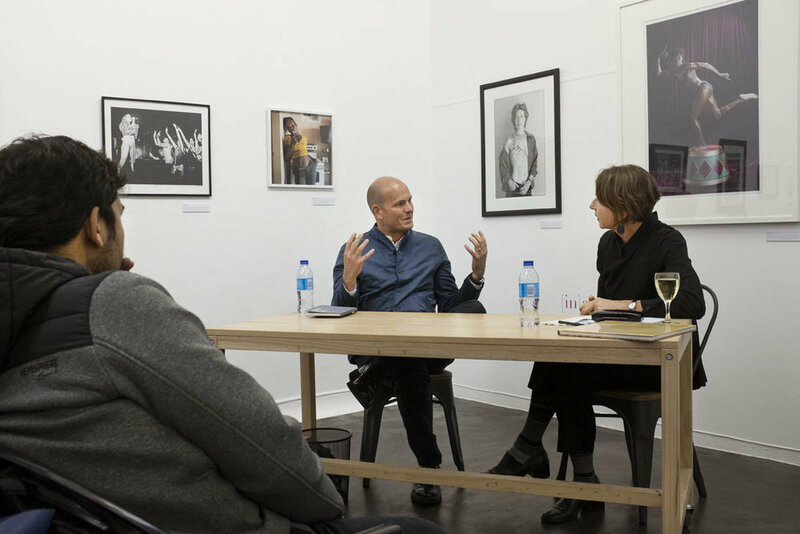 The audience were treated to profound insights, philosophies and ethics on what elements contribute to designing and printing the ultimate photobook. In addition, ten local photographers were accorded a compact review on a current book project. 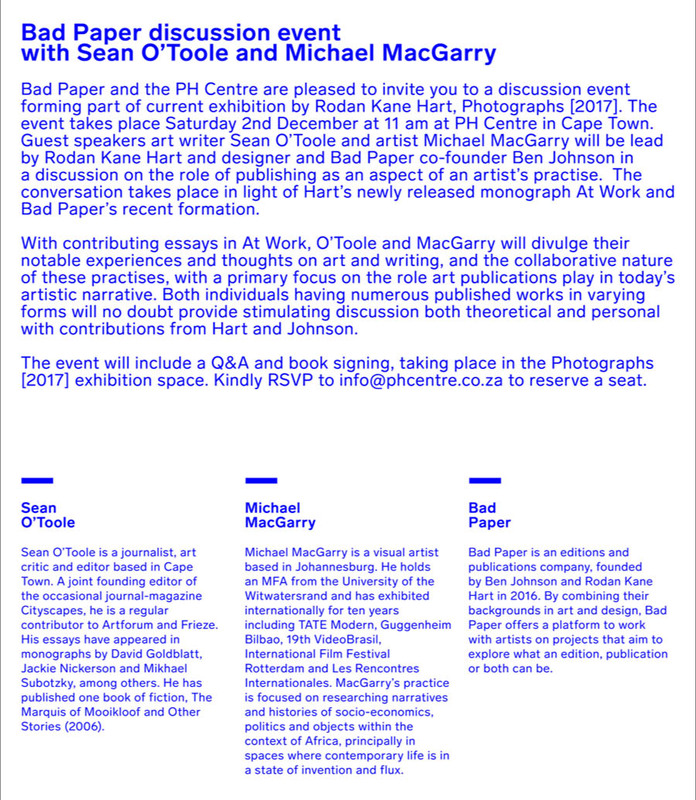 The event was an enormous success and was sold-out long before the night.